Applications are currently open for membership to ProSPER.Net for 2018. Interested higher education institutions in the Asia-Pacific region that offer postgraduate education and research in sustainable development (SD) and in fields related to education for sustainable development (ESD) now have until 31 August, 2018 to apply. Further details on applying for membership can be found here. 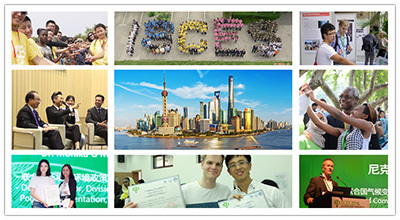 Registrations are now open for the 2018 International Student Conference on Environment and Sustainability, to be held at Tongji University, Shanghai, PR China, from 2-7 June, 2018. Co-hosted by the United Nations Environment Programme, Tongji University, Xinhua News Agency and Beijing Environment Foundation for Young Talents, the theme for this year’s conference is ‘Less plastic pollution, better city life.’ Interested full-time university students (including undergraduate, post-graduate, and PhD students) under the age of 35 years old can register online. The deadline is 25 April, 2018. Full details are available on the conference website here. The COPERNICUS Alliance Conference 2018, ‘Future Forward Summit on Sustainable Higher Education’, co-organised by Ecocampus, is now calling for proposals. 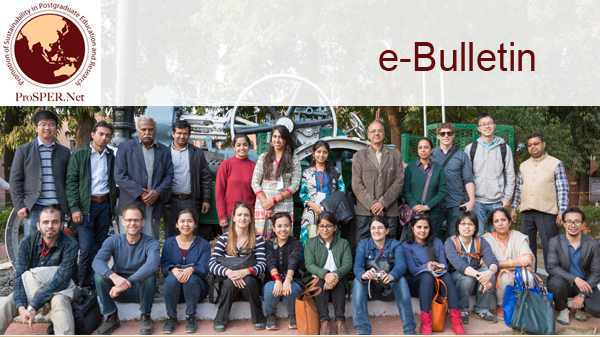 The summit aims to bring together those who are connected to higher education and who are a part of making a positive change for sustainability. Proposals should provide fresh perspectives and share innovative practices or renewal processes that support a sustainable future. 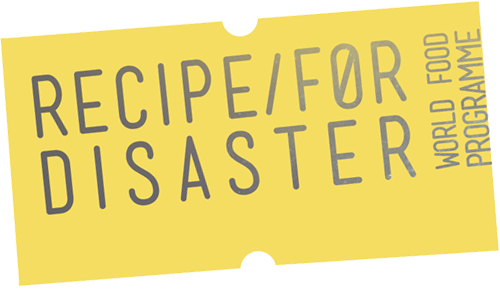 Details on topics and how to submit a proposal can be found here. The deadline for submissions is 25 May, 2018. IPBES has announced the start of the external review for the second order drafts of the chapters and the first draft of the Summary for Policymakers of the IPBES global assessment of biodiversity and ecosystem services. The period for this second external review is 30 April – 29 June, 2018. Take a look at UNESCO’s new GAP on ESD video, ‘Think, Live and Act together. Be part of the change through ESD’. This video presents key objectives, messages and flagship projects of the GAP and is available in English, French and Spanish. 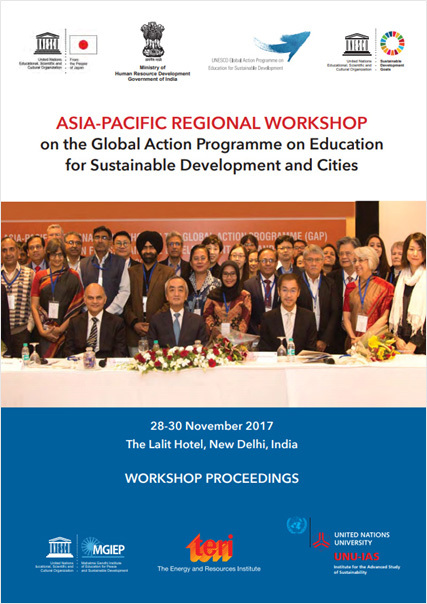 A report outlining the key results of the ‘Asia-Pacific Regional Workshop on the Global Action Programme on Education for Sustainable Development (ESD) and Cities’, held in New Delhi, India from 28-30 November, 2017, is now available. Over 65 participants attended the workshop, with representatives from 15 countries. The document, available here, also consolidates recommendations identified for integrating ESD in cities in the Asia-Pacific region. A video containing highlights from the workshop can also be viewed here. The 2018 edition of UNA-UK’s (United Nations Association – UK) annual publication providing analysis and recommendations on achieving the SDGs is available for download here. The publication features a range of articles, such as ‘Local action, first hand’, which discusses the importance of grassroots ownership and local action to set priorities, mobilise support and implement the SDGs, by presenting examples from Kenya and the UK.